# raise   # reraise the exception, no arguments. retval = str(diag) # Maybe e.args and e.args can use. 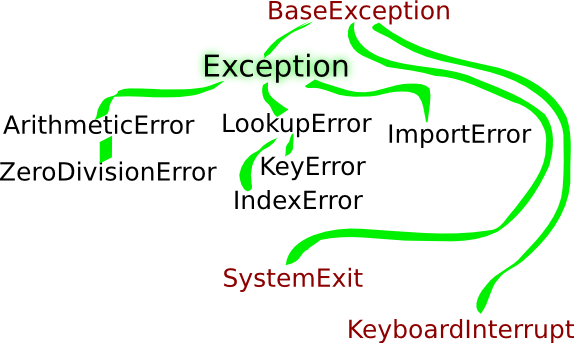 except Exception:  # or 'except:', or 'BaseException:' all errors. else:   # This is optional, means there is no error. finally: # This always execute. #       finished, the exceptions will be reraised. if __name__ == '__main__': # main function, else module name.